UCS delivered one the most comprehensive solution for SCA by developing a mobile app for information and services across all four mobile platforms. 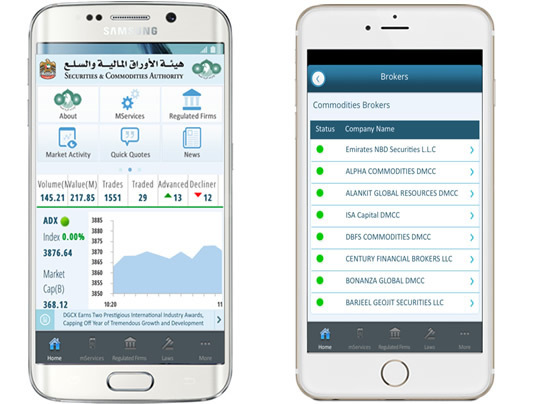 The app offered update to market information for all three leading markets in the UAE, and access to smart services for listed companies and brokers. Users of the app can renew their licenses and complete required regulatory procedures to maintain their status.